Home » What is Family Law? » What makes a law Family Law? Family Law is also called Domestic Law, and vise versa. Those terms are both used to refer to almost any legal issues that develop between current and former significant others, cohabitation partners, lovers, and spouses, that requires the Order of Court to resolve. It is a complex area of law, with its own unique terminology and sub-fields. A marriage or civil union, by ceremony or common law, creates a legally recognized status. If re­quired, then a divorce or dissolution, a legal separation, or an annulment or declaration of invalidity, changes that status. Additionally, when that status is changed, an award of spousal maintenance or alimony, or a division of marital property assets or obligations, may be required. This sub-field of Domestic Law is referred to as Divorce Law or Matrimonial Law. When children are expected or have been born, either in or out of a marital or civil union relationship (there is no difference under Colorado Law! ), then Paternity Law, Child Custody Law (now known as “Allocation of Parental Responsibilities” in Colorado) and Child Support Law are the different sub-fields of Family Law that are relevant and apply to your situation. Certain conduct, between parents or partners, or towards children, may require adults and/or chil­dren to be restricted or kept apart, and there sub-field of Protection Order Law under the umbrella of Family Law. If the Department of Social Services or Department of Human Services is investigating a family’s care of a child, or has taken a child away from a parent, this is probably a Dependency & Neglect Action. 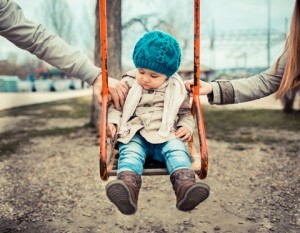 Adoption Law pertains to situations where one or both of the child’s parent’s legal rights are termi­nated and another person(s) is/are substituted instead as the child’s legal parent(s). Many of these sub-fields that occur under the umbrella of Family Law may be utilized within the same given situation. The terms, Family Law or Domestic Law, cover all the above, and more.